Language Coordinators may use a variety of different systems to be able to determine the English Learner status of students. 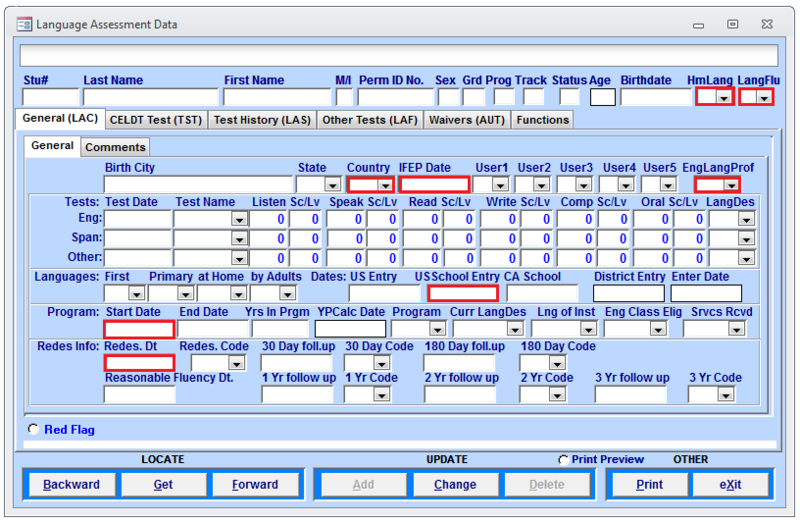 Even though Aeries CS may not be your primary student management system for English Learners, it does require the most up to date information in it as Aeries CS is the master data source for updates to the State of California’s official student data system called CALPADS. However, this must be updated before Fall 1 or within 90 days of the start of school. 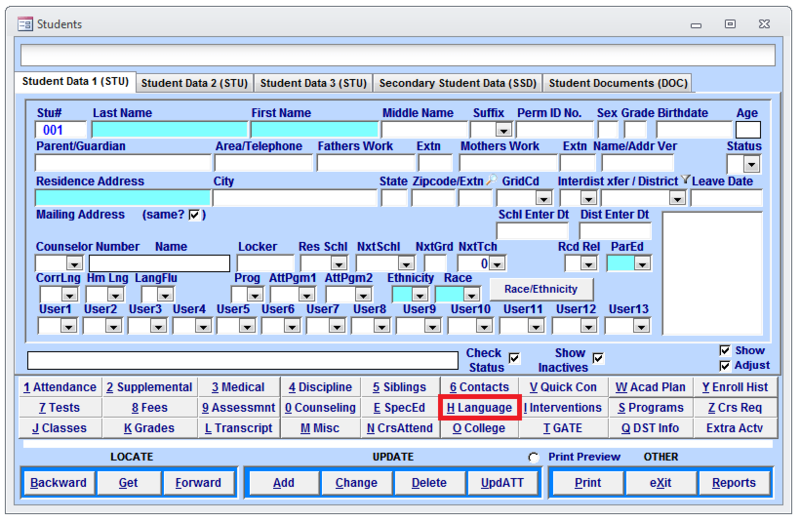 If the Home Language is 00 – English, Current ELA Status MUST be English Only. If this is not US, then the field “US School Entry” is required as well. Required for ALL students (as of August 2014), EO, EL, RFEP, IFEP, and TBD. Refer to the ELA information previously established in CALPADS to assist in identification.